SINGAPORE – Mixed martial arts (MMA) star Angela Lee was involved in a car accident on Monday (Nov 7) in Oahu, Hawaii. While the One atomweight world champion was not seriously injured, fight promoter One Championship’s chairman Chatri Sityodtong announced on Facebook that her Nov 24 title defence against Japan’s Mei Yamaguchi at the Singapore Indoor Stadium would be postponed. In his post, which was published on Wednesday morning (Nov 8), he said the 21-year-old had suffered a concussion, minor burns and her body was “banged up”. He added that photos showed that the Audi she was driving was totally wrecked. 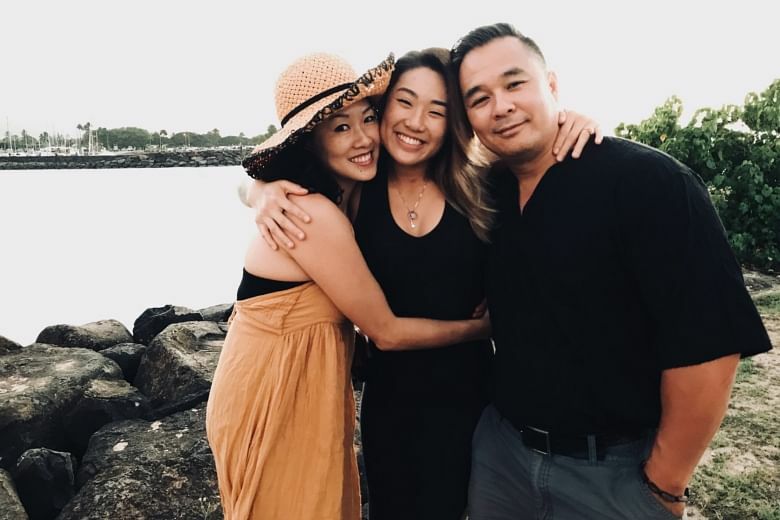 In a statement to Hawaiian website Khon2, Lee’s Singaporean father and trainer Ken Lee, also expressed his relief that his daughter had survived the “very serious accident”. He explained that her car had hit a guardrail on the highway. “The axle snapped and the car flipped 5-6 times over 100 yards and landed on the opposite side of the highway, according to the police”. He added that his daughter was now at home and resting and thanked concerned parties for their well wishes. Lee has a perfect 8-0 professional record in the cage and had recently announced her engagement to Bruno Pucci, a 27-year-old Brazilian fighter who also trains with her at Evolve gym in downtown Singapore. It shocked all of us. It’s a miracle you are alive and we’re blessed for that! 🙏🏼 Once again I’ve learned that our lives can be changed in a split second. We all get caught in our day-to-day routine and sometimes the most important things in life just goes by unnoticed. You are proving everyone how strong you are, you are unstoppable! I’m so grateful I can see your smile and tell you how much I love you ❤️. @angelaleemma Eu te amo para sempre! The Nov 24 bout was set to be her second against Yamaguchi. Last year, she had defeated the 34-year-old Japanese veteran to become the youngest MMA world champion. It is not known if One will replace Lee on the nine-bout fight card. The other headline act of the One: Immortal Pursuit card will see the welterweight champion Ben Askren taking to the cage for the last time as he bids to end his career on a winning note against lightweight former world champion Shinya Aoki. Lee, whose last title fight in May saw her beat Brazilian Istela Nunes, is not the first leading athlete to be involved in a vehicle accident or incident this year. Two months ago, Manchester City’s Sergio Aguero was in a taxi which hit a lamp post in Amsterdam, where he had been attending a concert. The footballer fractured a rib but has since returned to action. In June, tennis star Venus Williams was behind the wheel when her SUV collided with another vehicle at a traffic junction. The accident claimed the life of a 78-year-old man, who died two weeks after. The 37-year-old player was not hurt but she is the subject of a wrongful death lawsuit launched by the estate of the deceased man, even though police said she had entered the intersection where the accident took place lawfully. In May, Florida police found golfer Tiger Woods napping in his Mercedes Benz by the side of a road. His urine sample showed five drugs in his system. Last week, he pleaded guilty to reckless driving, was fined, put on probation for a year and told to do 20 hours of community service.